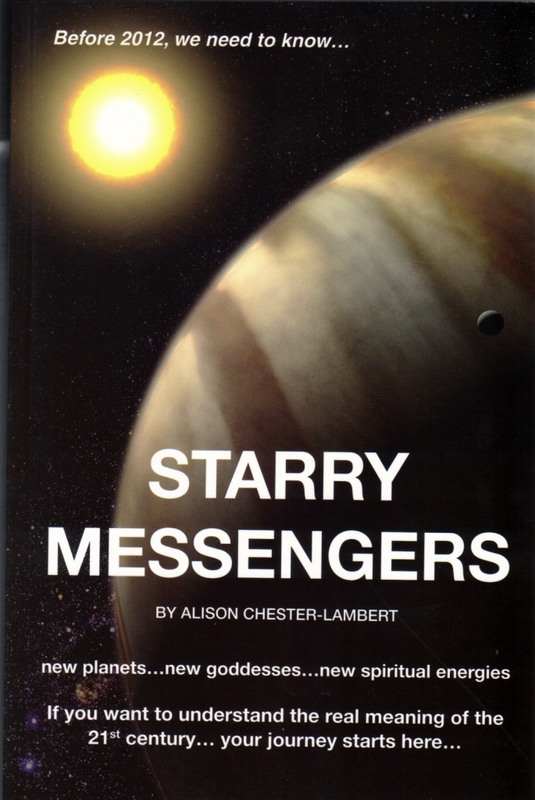 The limited first edition of Alison's first book, `Starry Messengers`. Only 300 were ever printed of this and the edition cannot be repeated. It is about the discovery of a whole new region of the Solar System and what that means for the human race in the 21st century. It was written for all to understand, including those who do not know astrology. However it has also been hailed as a classic text for astrologers by the Astrological Journal of the UK and Dell Horoscopes of the USA. It contains timeless and ancient wisdoms that have never been illucidated before. For instance, Alison takes apart the myths about the underworld as perpetuated by the Christian belief systems and demonstates the healing, magic and strength that can be found there. Kindred Spirit said "In her astonishing book..... Alison brings together the opposing worlds of Science and astrology as if they were two halves of a jigsaw and the completed image hits home with a raw and pertinent truth." A deck of beautifully crafted cards with all the power of astrology and hailed as the most game-changing cards to be produced in the last decade. They have professional, accurate astrology, clear simple instructions and astoundingly powerful illustrations. An all-time classic deck. 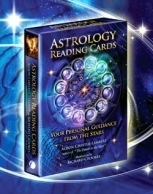 Published in January 2012, the Astrology Reading Cards (the ARC) have quickly established themselves as one of the most popular divinatory decks of recent years. 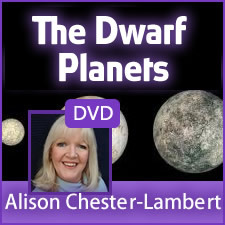 In it, Alison created the impossible – an easy to understand pack which harnesses the ancient, archetypal energies of astrology into an incredibly accurate divinatory tool. This is the recording of a seminar given by Alison on her book/talk tour of the West Coast of America in May 2011. It is packed with un-published astrological material on the Kuiper Belt and is probably the most authoratative talk on the subject available world wide. At nearly 2 hours long, it represents very good value for money, since this seminar sold for £55 in real life. You can buy it on a DVD for only £15 which includes postage. You then get to watch it whenever you want to! CLICK HERE FOR EVEN MORE INFORMATION AND TO BUY.